Triple Chocolate Cake is the easiest cake I’ve ever made, and it’s loaded with chocolate, chocolate and more chocolate. And since it’s a baked item, it’s from my friend Beth, naturally. 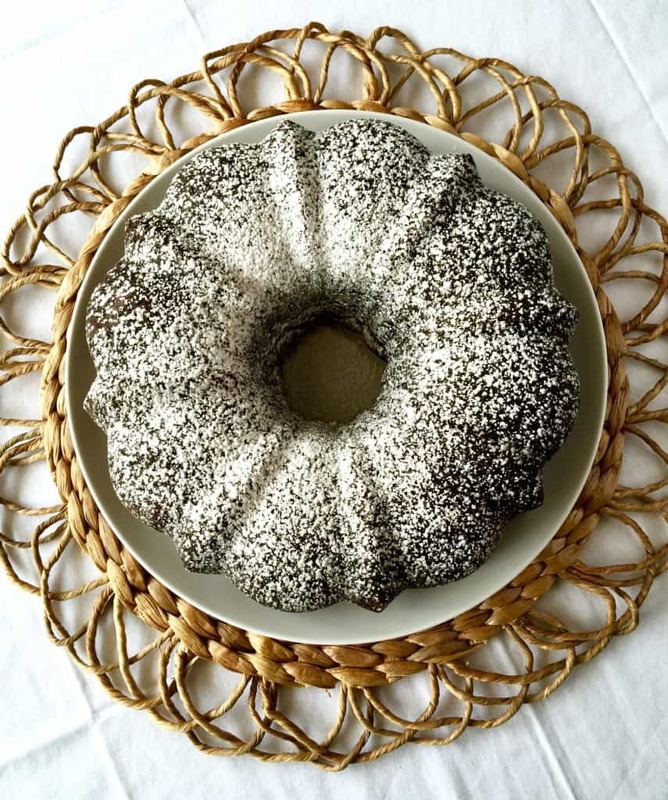 It is so simple, uses some boxed mixes and other stuff, and into a Bundt pan it goes. 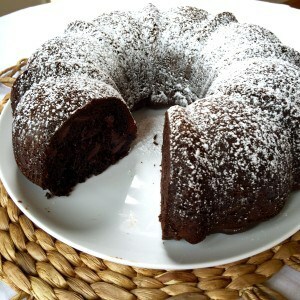 About 45 minutes later you have a beautiful, rich chocolate cake. 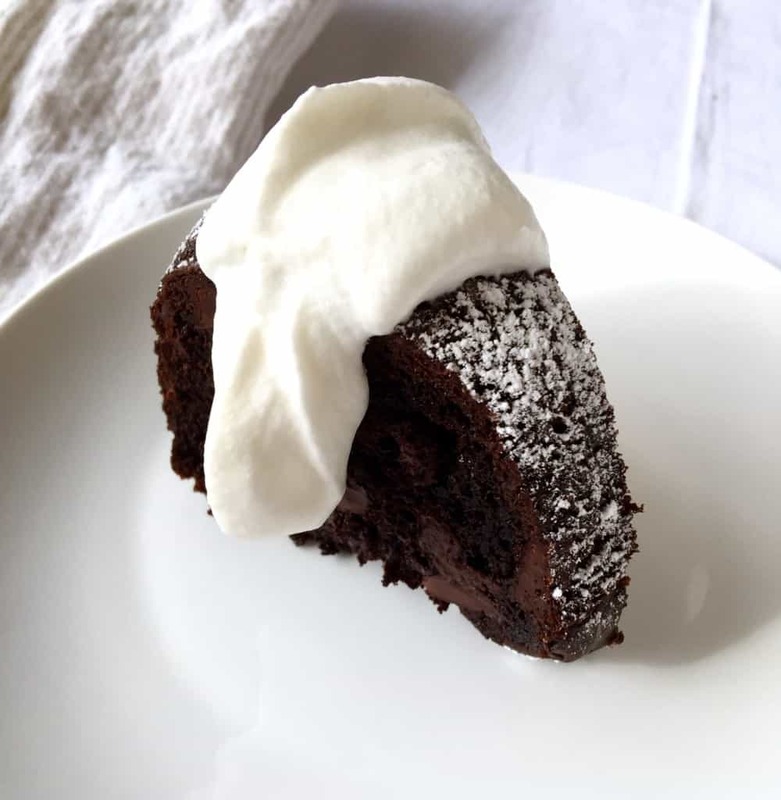 I dusted my cake with powdered sugar and served it with real whipped cream. Served warm, with vanilla ice cream, would also be yummy. So if you’re still looking for a special dessert for Valentine’s Day, and want chocolate, this is your cake. Thanks Beth. Simple triple chocolate cake with store-bought cake mix, pudding mix and bittersweet chocolate chips. Great for special occasions, serve with ice cream or whipped cream. In bowl of stand mixer, put all ingredients except the chocolate chips. Mix until well combined and smooth. Add chocolate chips and mix gently to just combine. Pour batter into prepared pan and bake for about 45 minutes until done. Cool on wire rack for 15 minutes and then remove to cool completely, or serve warm. 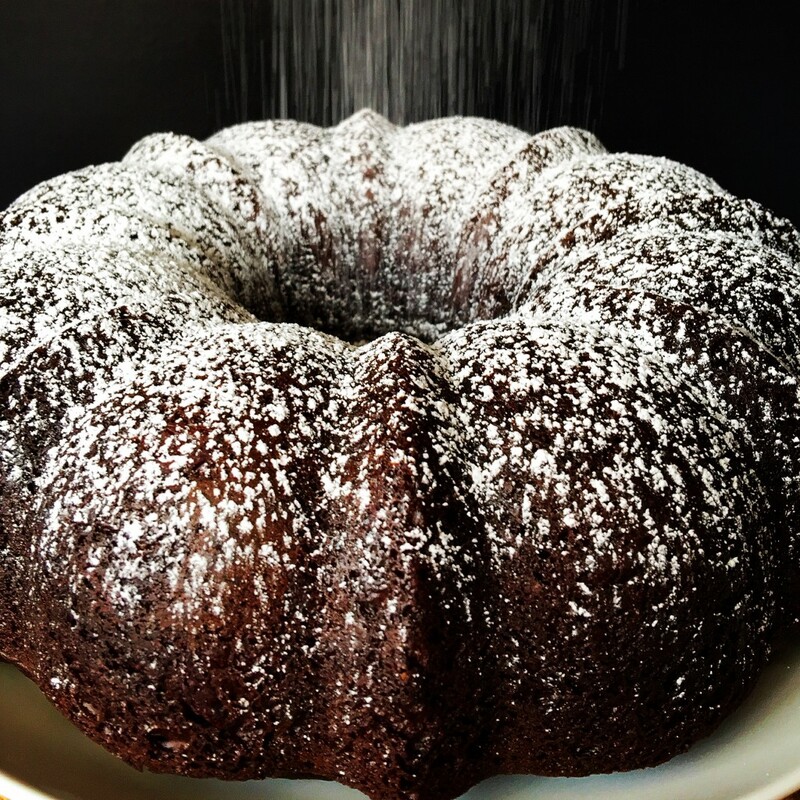 Makes one Bundt pan-size cake. For a pretty presentation, dust with powdered sugar after removing from pan. Made this for a church Family Night Supper and it barely made it out of the kitchen! !